We offer competitive prices on all lines of commercial tires & re-treads, off-road tires and industrial tires. We offer name brand commercial tires and retreads, off-the-road (OTR’s) tires and industrial tires. We are an authorized dealer of Goodyear, Dunlop, Hankook, Firestone, Bridgestone, Michelin and BF Goodrich tires. We can also order any other brand by request. 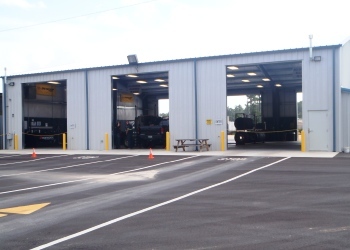 We don’t have the overhead of your typical tire store so we offer the most competitive pricing in our area. Owner operator discounts are also available. Please check us out! We know that with our customers’, time is money. We offer 24-hour roadside assistance within our service area and can usually arrange for service outside the area. 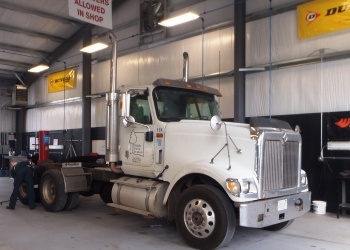 We have on staff a fleet consultation specialist with over 35 years experience in the commercial tire business who can provide you with an entire fleet analysis and set up a complete tire program for your business. With an experienced and skilled team, we believe we can meet all your tire needs!